Mice vs monsters! Saving alien dinosaurs is tricky when they want to eat you… A giant comet is on a collision course with the planet Jurassix. 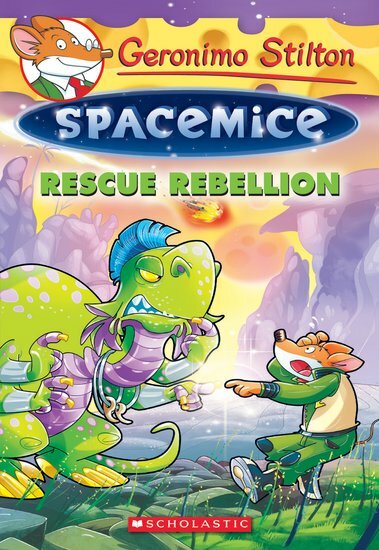 Geronimo Stiltonex and his brave spacemouse crew must warn the creatures there. Trouble is, the residents of Jurassix turn out to be huge ferocious dino-beasts. Their favourite food? Mice! Squeak! Can the brave spacemice save these alien dinos without ending up as dinner? Can you read this entire funny story without falling off your chair? It’s rodents plus reptiles plus you!